Browse: Home / You Already Have the Customer Data You Need. Here's What to Do With It. Simple, strategic analysis can help you understand what your customers are telling you. I'm going to tell you a secret. You already have all the data you need to make a difference in your business. Sure, you might have to dust it off, organize it and put it to work, but the insights you need are right there waiting for you. The real secret to data success is in learning how to take that flood of information, find what's useful and make it actionable. 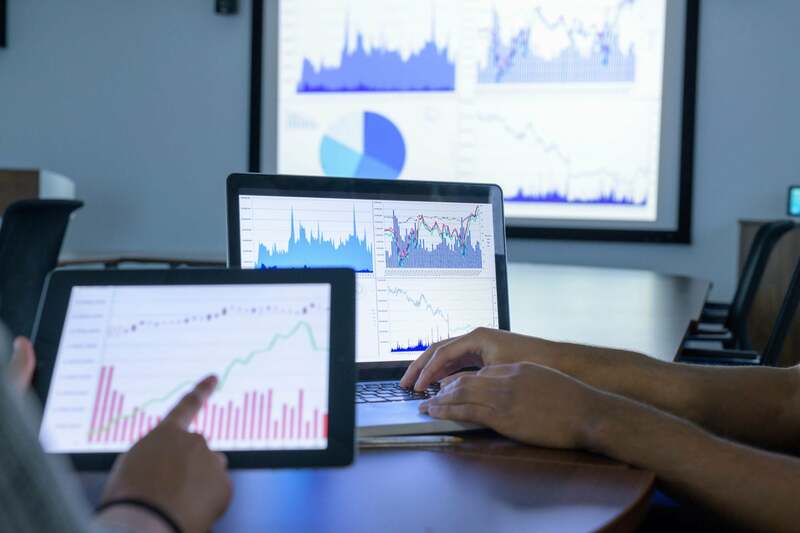 It doesn't matter how big or small your business is — incorporating data analytics is an essential practice that reveals truths you need to know to make the best decisions for the future of your organization. My role at Farmers focuses on using data to gain insights into human behavior that can help us serve our customers better. And though the ways and means might look a bit different, the focus of that work applies to businesses of any size in any industry. The goal you are working toward or the decision you hope to inform will be the best guide of exactly which data you want to extract from all of the information you have flowing through your business. It is important to note, however, that in nearly every situation the data you work with should include customer information. There are privacy guidelines that you should take care to follow when working with customer data, but it's worth the extra effort to protect your customers and learn about your business. Look to purchase records, customer databases, social media engagement and website interactions to find a whole host of data that will inform your understanding of your customers, their needs and the opportunities you should be chasing. And how's this for inspiration? A study from Dresner Advisory Services found that small-to-medium businesses are three times more likely than large enterprises to report the highest rates of business intelligence adoption. That means leaders just like you are finding ways to put their data to work and quite possibly doing it more effectively than the giants in their fields. Once you've collected data from sources that might be useful to you, it's time to start looking for the information that's going to help you make better decisions and achieve your goals faster. Sticking with our example of customer insights, this is the time to take stock of everything you know about your customers. Who are your brand champions? Who are the biggest spenders? What do you know of the demographics of your customers? The more answers you can glean to these questions, the better intelligence and insights you can discover. For instance, you'll find out if your business follows the 80/20 rule — where 80 percent of volume tends to be contributed by 20 percent of customers — and you'll know definitively if your products and services appeal more to millennials or baby boomers (or any other generation). This kind of intelligence creates opportunities for the kind of human insights that make a measurable impact on businesses. Related: Is Your Company Better Than the Competition? Here's How to Find Out. Now that you have a foundation of intelligence and know what you're looking for, the real work begins. This is the time to start measuring performance, making adjustments and tweaks to optimize everything from messaging to the purchase process and test, test, test! For instance, once you've used the data you parsed out to create buyer personas, you can begin to implement changes based on that intelligence. If the data shows you have good success with female millennials via in-person exchanges but low digital engagement, you know you have an opportunity to grow that consumer base by creating digital content and experiences that encourage further interactions and purchases. It should come as no surprise then that Dresner Advisory Services also found that revenue growth and increased competitive advantage rank as two of the top three motivations for small-to-midsize businesses to invest in business intelligence and analytics. The avenues of opportunity analytics can open for you are only limited by your willingness to explore the wealth of information you already have at your fingertips. Driven people launch businesses and chase their dreams — analytics sharpen and direct those instincts with insights and intelligence. If you haven't already waded into the world of data analytics, I challenge you to jump in right away. You can't know exactly what you'll find when you do, but I can promise it'll be better than staying on the sidelines and missing an opportunity to learn about your business.